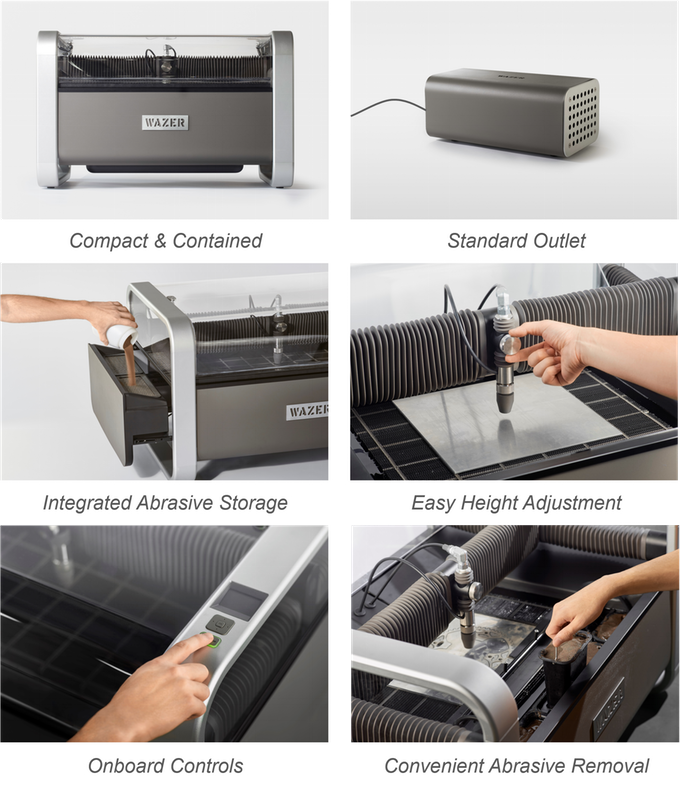 WAZER is the first waterjet cutter that can fit in every workshop. It cuts through any material and is compact and contained, making it, clean, safe and quiet to operate. WAZER's digital control achieves detail and accuracy impossible by hand, while freeing you up to complete other tasks. Traditional waterjets cost upwards of $100,000, but with WAZER, we’re changing that, bringing this advanced technology to every workshop. WAZER can cut through any material, which allows you to make things with professional-grade quality. Cut time: 118 min. Designed & finished by Mikey S.
Cut time: 60 min. Designed & finished by Stacey L.
Cut time: 95 min. Designed & finished by Noelle W.
Cut time: 168 min. Designed & finished by Christian M.
Cut time: 34 min. Designed & finished by David F.
Waterjets, however, are known for being large and expensive machines that require significant infrastructure and high maintenance. For these reasons most individual makers and small businesses don't have access to a waterjet, so we decided to make one that could be used with a limited budget and minimal space. 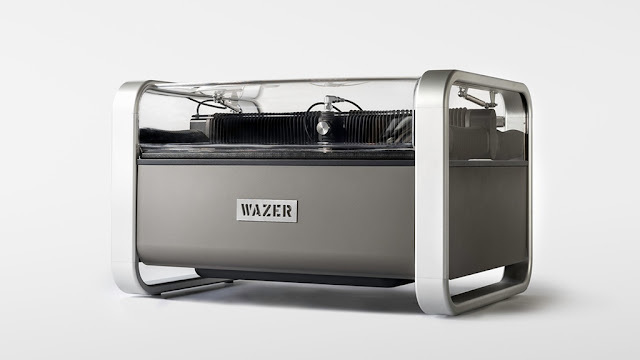 WAZER works by combining sand-like abrasive particles with a high-pressure water stream. The mixture exits the nozzle and cuts through the workpiece, removing material through a micro-erosion process. The abrasive used, referred to as "garnet", consists of rock that is ground to very small and consistent particle sizes. Garnet is a commodity, it is non-toxic and is easily disposable. Watch Dan go through the process of operating WAZER step-by-step. Software: With WAZER, going from design to cutting is fast. 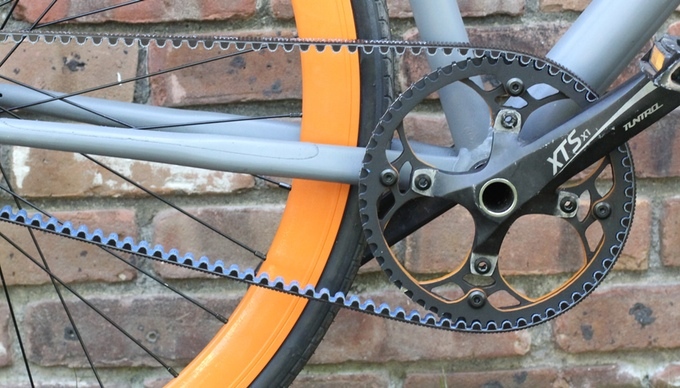 Design your part in whichever software you’re used to, like Solidworks, Adobe Illustrator or Google SketchUp (or if you aren't familiar with any we'll suggest a basic, easy-to-learn, software for you). Load that drawing file (DXF and SVG) into WAZER software and let the easy to use software guide you through setting up your cut. WAZER comes as a desktop unit with a separated pump box, which can be placed anywhere within the vicinity of the machine. There are optional removable legs to convert WAZER into a stand-up unit. 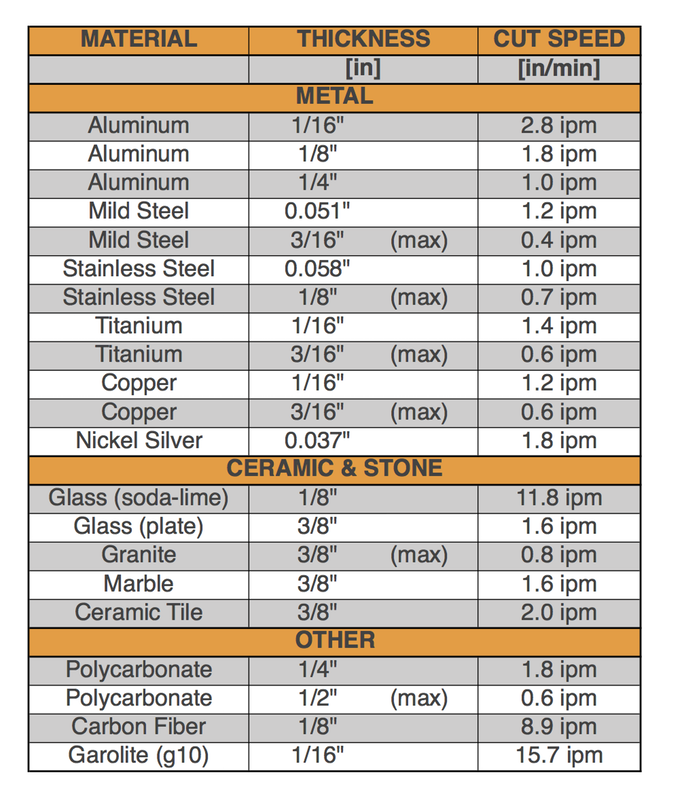 The list below shows cutting speeds for popular materials that we have actually tested on our final prototype. Email us at info@wazer.com if a material you are curious about is not included. 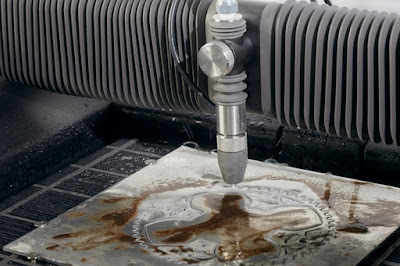 In order to bring you waterjet technology at this price point we had to reinvent waterjet cutting at a lower pressure. This results in slower cutting speeds compared to traditional industrial waterjets but still maintains the versatility of being able to cut anything. 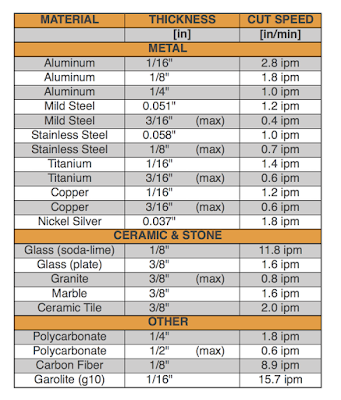 The materials listed above were cut with WAZER using abrasive particles (garnet) at a rate of 0.33 pounds per minute. WAZER uses garnet made specifically for waterjets that must be continually purchased in order to operate the machine. Abrasive will be available on our website, but WAZER will also work with approved third party suppliers. WAZER began as undergraduate research, where Nisan led a team of students creating the first low-cost waterjet prototype. In early 2015, Nisan and Matt quit their jobs to continue developing the waterjet, working in the basement and testing in the backyard. WAZER is an incredibly complex machine, combining hydraulic, pneumatic, mechanical and electrical systems. It’s a lot of components that need to work together seamlessly. That’s why we are a team of four engineers, with experience building machines and consumer products. WAZER's user-centric software still needs development - currently we run WAZER using modified off-the-shelf CAM software and motion controller. Going from design drawing to CNC control is well documented, so the main challenge will be around implementing the intuitive waterjet-specific workflow that you see in our mock up. 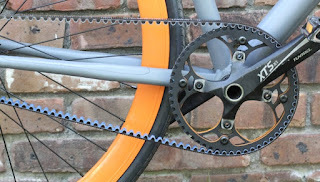 The software development will begin after Kickstarter and will run in parallel with our manufacturing efforts.